Join the All-Stars for Jesus TEAM! All-Stars for Jesus Bible Clubs are filled with exciting, interactive Bible learning activities, crafts, and games—all in a fun-filled club atmosphere. Kids are eager to come to All-Stars for Jesus—and they'll want to invite their non-churched friends! Each weekly Bible club comes with complete step-by-step instructions for quick, simple preparation. Our Easy-Trac meeting plans let you see at a glance which activities and materials to use. Plus, the Flex-Lessons give you maximum flexibility to accommodate the changing needs of your kids and your program. All-Stars for Jesus Bible Clubs is the only curriculum-based midweek Bible club program, so you reinforce what your kids learn in Sunday school. Plus, every activity helps the kids focus back on the Bible lesson or meeting theme. We offer an Explorers Bible Club for combined age levels in one Bible club: an All-Stars for Jesus program for grades 1-6 in one complete affordable kit. Plus, we have All-in-One Kits for a variety of age levels: Preschool (ages 2-5), Primaries (grades 1-3), and Explorers (grades 1-6) with reproducible student sheets on CD-ROM. No more wasted papers. No more running out of student sheets when visitors come. Also check out our All-Stars Promo Kit for fundraising ideas, promotional posters, clip art, club kickoff ideas, and more! All-Stars for Jesus Bible Clubs are the only Bible-based curricula that allows flexibility with your lessons for all age levels. There are no membership fees, registration forms, or doctrinal requirements—just fun, Bible-based, solid Christian learning. We are so confident that you will love our Bible clubs that we guarantee results—or your money back! Like Other Bible Clubs, such as Awana®, All-Stars for Jesus includes Bible memory as a key element in each lesson. 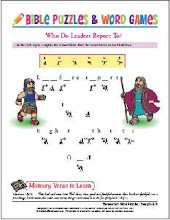 And while Pioneer Clubs® offer Bible exploration and memory work, All-Stars for Jesus offers that, plus incorporates the Bible point from each lesson's Bible story into every game, activity, craft, snack, song, and memory verse! Your kids are learning God's Word through everything they do! Customer testimony: "We've been using the All-Stars for Jesus program for a couple of years now. We used to use Awana® but found that the children lost interest in their student books. The kids love the All-Stars for Jesus program, and especially love the award books! Not only are they attractive and fun, but they have a lot of solid life-application activities which vary from week to week. We've kept the same AWANA format and adapted the All-Stars curriculum to fit perfectly for us." All children are stars in Jesus' eyes. They don't have to excel at music, academics, sports, or anything else—Jesus loves them just the way they are. All-Stars for Jesus Bible Clubs help every child feel loved and accepted. Order your Starter Kits and take 60 days to review the materials—no risk! You can return any or all of the materials, no questions asked! Just quality Bible teaching to get your students into God's Word.